The New Museum has showed that it has awakened it’s intellect with heart; a quality it was known for when the institute began with Marcia Tucker back in 1977. 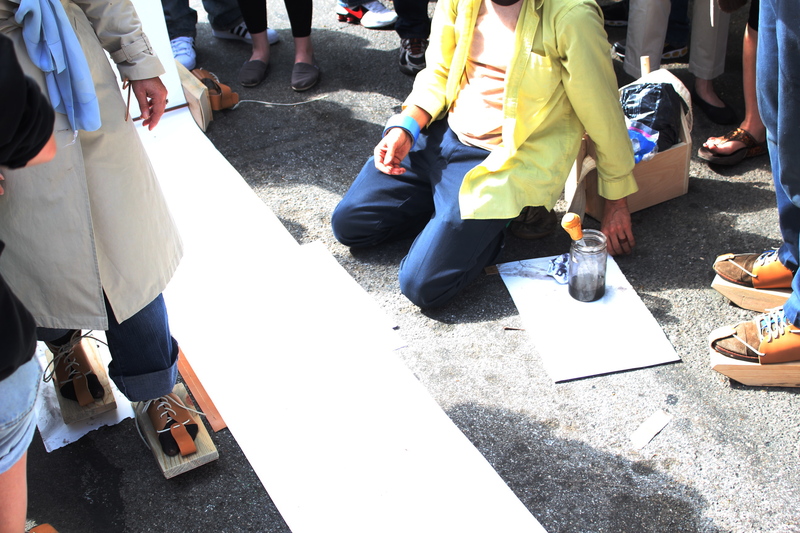 For a three block run down Bowery, and down the streets of Rivington and Chrystie, were tents filled with ideas on how we can find sustainability in a world that needs less trash and more trees; less talking and more doing. The timing of the Festival could not have been more appropriate, with rungs of booths on how to start your own rooftop garden and then create delicious meals. Projects that I will continue to follow are the Love Yourself Project (a Micheal Mutt production), Eyebeam, Art in Odd Places, and FEAST (Funding Emerging Art with Sustainable Tactics). I was also drawn to the project Intervals: Futurefamers, which is continuing until the 14th with events in collaboration with the Guggenheim. The Futurefarmers have created a “Pedestrian Press” in which they have married the action of your sole with your soul through slipping on shoes, that are inked, and walking along a giant scroll. Futurefarmers "Pedestrian Press" at the New Museum's Festival of Ideas. Also very present were closed store gates showing the works of Deborah Kass, Lawrence Weiner, Mary Heilmann, Judith Berstein, Rirkit Tiravanija, Chris Dorland, Adam McEwen, Elmgreen and Dragset, Amy Granat, Ingrid Calame, Garry Simmons, Jacqueliene Humphry and Glenn Ligon located all around the Bowery. 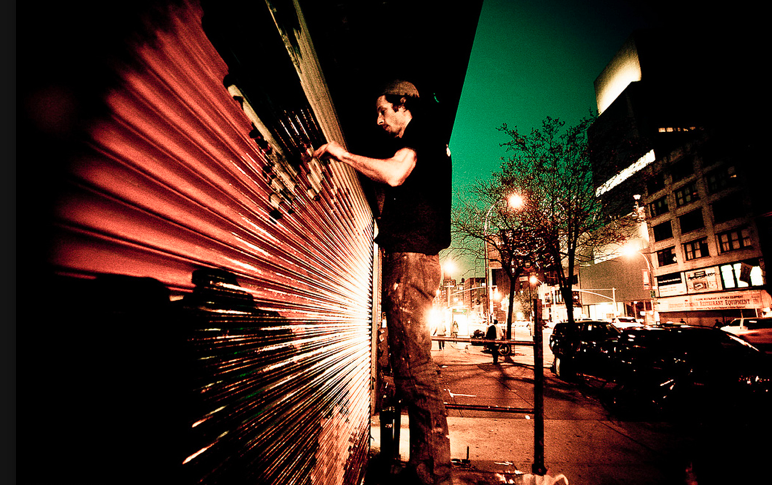 Of course one cannot imagine our dear Lawrence painting off Broome street in the middle of the night, so the talented crew of Colossal Murals were called to work. Tom Hemmrick, who is also a talented artist and friend, painted several of the works through the early morning hours. After talking to him about the experience, he described an entirely different community of passersby in the city that never sleeps. 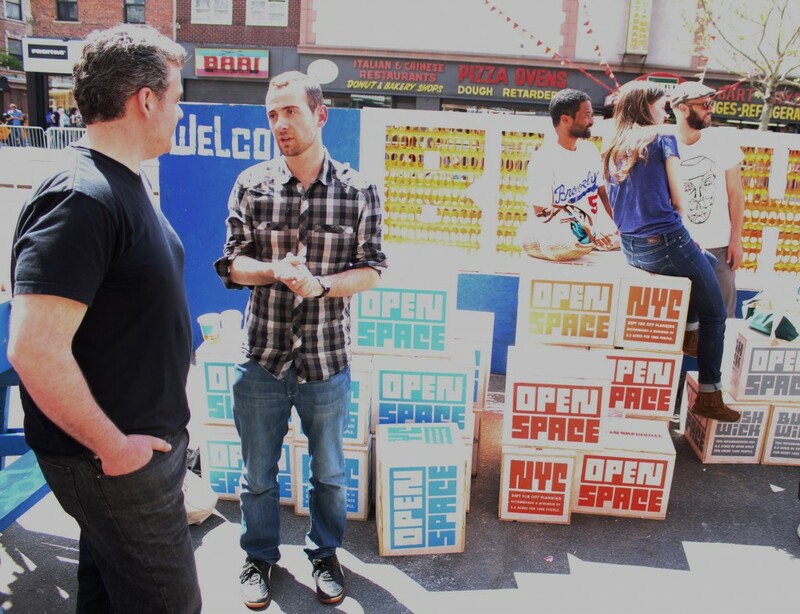 The Festival is of Ideas and like Sol LeWitt said, “the idea becomes the machine that makes the art” so there was no surprise that the Bushwick Art Park was the busiest booth on the block. Ali Ha, of Factory Fresh, has been working with urban, street and graffiti artists for years through her gallery and the works of Skewville, Leon Reid IV, Spectar and Olek. Artists of Bushwick Art Park enjoying the day and boxes by Skewville. When Ha and Deville opened Factory Fresh in Bushwick, Brooklyn they realized how much industrial space had been abandoned, leaving the now underused streets cluttered with litter and dilapidation. Ha and her partner in action, artist Ad Deville, decided that the time had come, to take over Vandervoort Pl. and with some of the best graffiti artists on the Factory line-up, there is a guarantee that the success of such a park would bring forth a public cry for more. They have partnered with long time friends, Jose and Seth of Trust Art, who are the front-runners of a new philanthropic revolution, a sustainable platform that no longer pulls on the coattails of the rich, empowers the middle class and even us penny pushers. 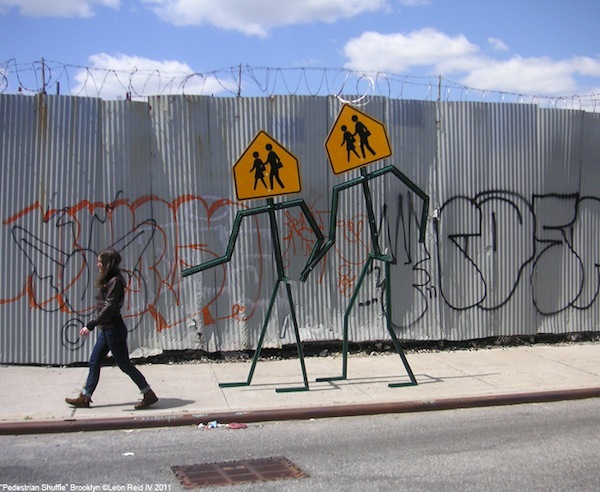 No doubt, there is a need for the Art Park in Bushwick, and there is a way you can get involved by seeking more information here. Let your ideas become that machine that makes art.